SAN FRANCISCO –Space transportation startup Momentus raised $8.3 million in seed funding for its business to offer satellite operators rides from one orbit to another, the Santa Clara, California, company announced Nov. 14. With the money raised, Momentus plans to demonstrate its Vigoride rocket powered by water-plasma thrusters in orbit in 2019, said Kokorich, a serial entrepreneur. Prime Movers Lab of Jackson, Wyoming, led the investment round for Momentus, which participated in Y Combinator, a well-known startup accelerator in Mountain View, California. Also participating in the investment round were: Liquid 2 Ventures, One Way Ventures, Mountain Nazca and Y Combinator. 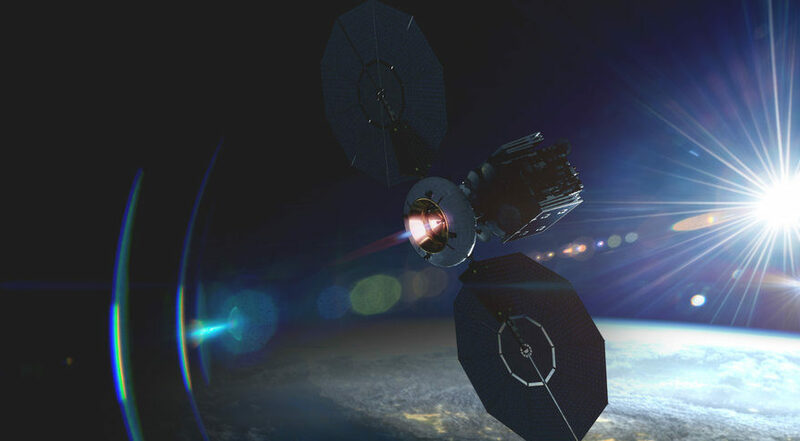 Momentus plans to begin offering in-space transportation in 2020 with Vigoride, a rocket to move payloads as large as 50 kilograms from low Earth orbit to geostationary transfer orbit, geostationary orbit, lunar orbit or other destinations. In 2020, Momentus plans to begin testing its next-generation Ardoride, a rocket designed to move 180 kilograms from low Earth to lunar orbit or 250 kilograms from geostationary transfer orbit to Mars orbit. Prior to founding Momentus, Kokorich helped established satellite manufacturer Dauria Aerospace, Internet-of-Things startup Helios Wire, ExactFarming, a firm that applies modern technology to agriculture, and Astro Digital, a satellite imagery and analysis company.